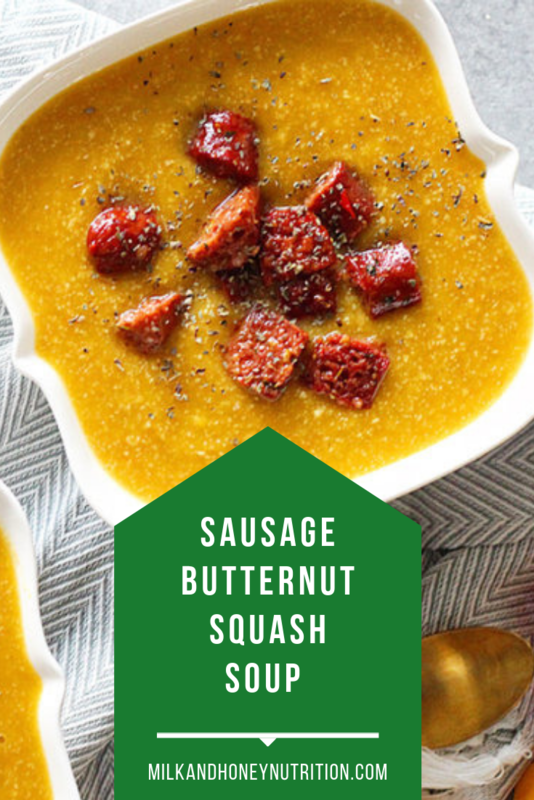 This Sausage Butternut Squash Soup is perfect for fall lunches and dinner. It’s a close spin off of my Carrot, Apple, Butternut Squash Soup but with the added flavor of Teton Waters Ranch sausage. Curl up on the couch and enjoy this warm, comforting fall soup! This recipe was sponsored by Teton Waters Ranch. All thoughts and ideas are my own. Click here for the recipe... Sausage Butternut Squash Soup ! !